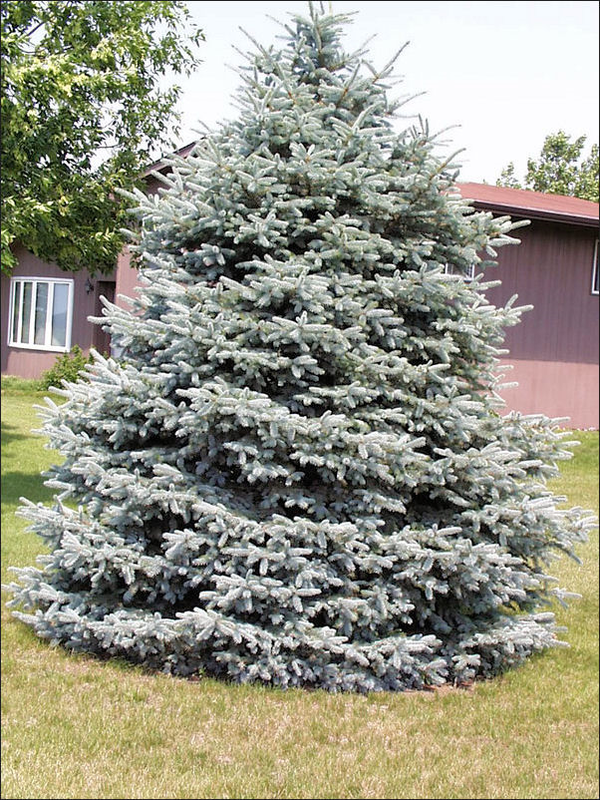 The Colorado blue spruce is one of the most popular ornamental conifers. It has great bluish silver needles which make for great year round interest. Growth is conical in juvenile stage and turns more columnar with maturity. It has good adaptability to many soil conditions and is moderately tolerant to drought (most tolerant of spruce species) and flooding. 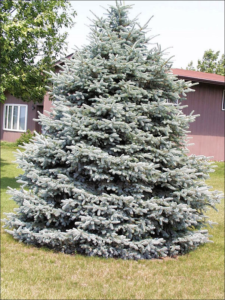 Blue spruce also works great for an accent and windbreak or border trees. Full sun is important for this variety as it does not tolerate shade well. 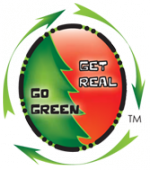 This is a good option for someone looking for a drought resistant spruce variety with intriguing color and multiple uses.